Louis* et Ketty Oesch habitent à Lyon. Louis* est postier et résistant. En 1942, ils recueillent Salomon Rosenblatt, un enfant de 3 ans. Son père, un Juif belge, avait été arrêté alors qu'il tentait de passer en France et sera déporté sans retour. Pris en charge par l'OSE (Œuvre de Secours aux Enfants) Salomon est confié à Mme Nouet, la sœur de Ketty. A la mort de celle-ci, Louis et Ketty prennent en charge l'enfant et s'en occupent comme de leur propre enfant. Afin de ne pas attirer l'attention, ils emmènent Salomon à la messe le dimanche, mais Louis lui parlait de ses racines juives. Salomon restera chez Louis* et Ketty jusqu'à la libération de Lyon, à la fin du mois d'août 1944. Louis* fournit des faux papiers à un négociant Juif bien connu à Lyon. Malheureusement, il sera arrêté et déporté. Devenu adulte, Salomon partira vivre en Israël mais resta en relation avec ses sauveurs qui firent des économies pour venir le voir en Israël. In 1942, Louis and Ketty Oesch of Lyons sheltered Salomon Rosenblatt, a three-year-old Belgian Jewish boy. His father had been caught crossing the border and deported to the east. Salomon was taken care of by the Jewish organization OSE, which initially placed him with Mme Nouet, Ketty Oesch’s sister. When Nouet died, her sister and brother-in-law decided to hide Salomon Rosenblatt in their home. The Oesches were people of limited means. Louis Oesch was a postman and earned a meager salary. However, the couple made every effort to give Rosenblatt a good and happy life. To avoid attracting the neighbors’ attention, Oesch took him to mass every Sunday but reminded him from time to time about his Jewish origins and roots. The Oesches became emotionally attached to Rosenblatt, treated him like their own son, and provided for him, with no expectation of material reward. Oesch, who was active in the Resistance, also supplied forged identity papers to a well-known Jewish merchant in Lyons, who, unfortunately, was arrested and sent to a concentration camp. Rosenblatt remained with Louis and Ketty Oesch until the end of the occupation in late August 1944. When he reached adulthood, he immigrated to Israel and settled there. He stayed in touch with his rescuers for many years. Louis Oesch carefully saved up money so that he and his wife could visit Rosenblatt in Israel. 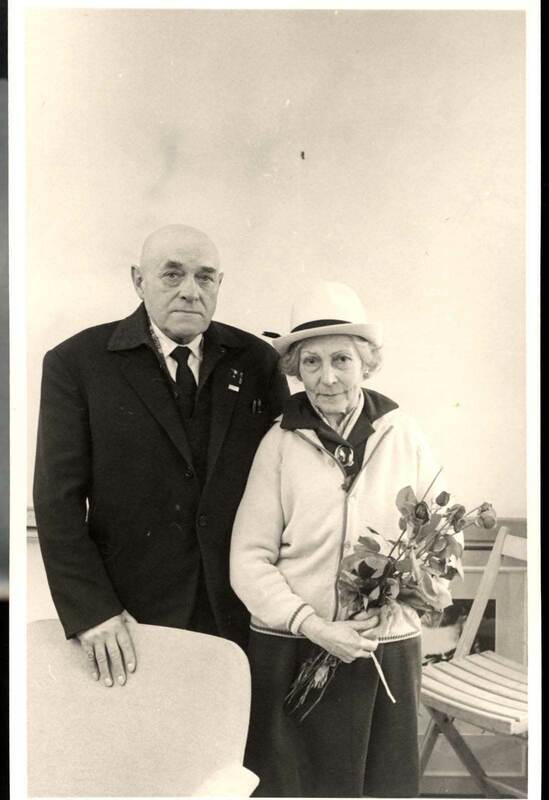 On July 18, 1967, Yad Vashem recognized Louis and Ketty Oesch as Righteous Among the Nations.